So here I am,… it’s 97° outside very comfortable 66 inside the car. I’m sitting in a parking lot right next to a Sonic, and across from the Buffalo Wild Wings in Lake Charles Louisiana after great night catching up with old friends at several of the casinos in town. I’ve only been parked here for about 10 minutes yet I’ve already added 40 miles of range to my model S.
The amazing thing, the entire travel part of the trip will have cost me half of a battery charge (maybe $1.50) because the Superchargers are free for all Tesla S owners. 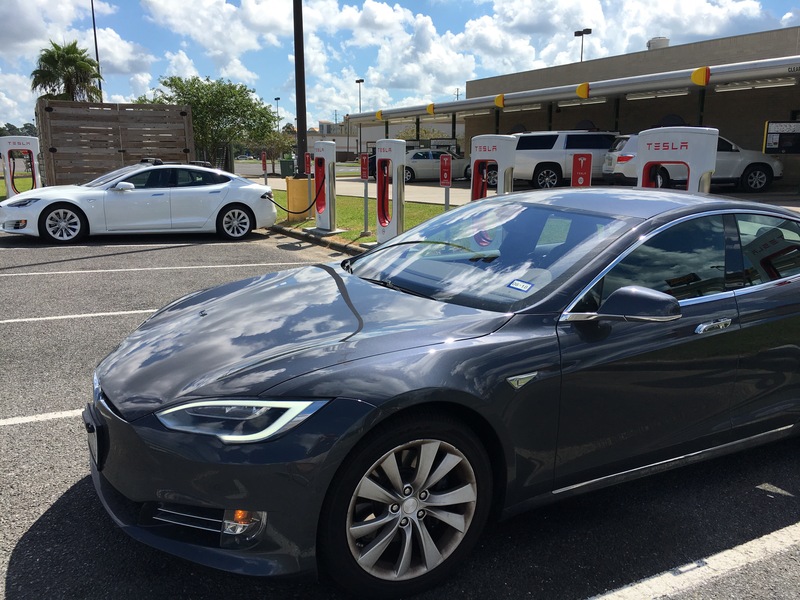 Well done writing this blog post and added 50 miles of range to the car. Off to the next adventure ! 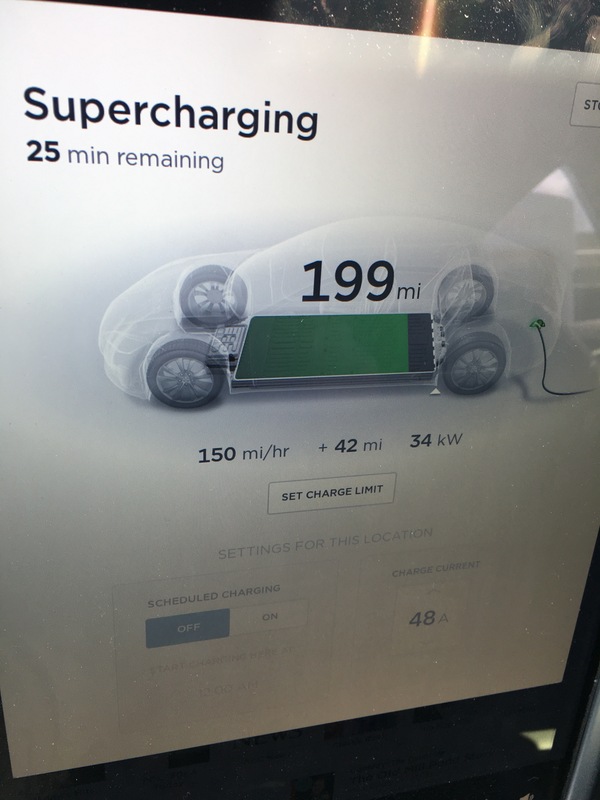 Previous Post Tesla Firmware Update 8.0 has arrived & it is Awsome ! Next Post Wear this and you will be…. One hand tapping….